Tom Epps is a partner in Brown Rudnick's White Collar Defense and Government Investigations group in London. Tom is recognized in the UK and internationally as a leading white collar crime lawyer specializing in business crime and regulatory investigations. He has been a partner with Brown Rudnick since July 2013 and has been involved in many of the UK’s largest and most complex fraud investigations and prosecutions over the last 20 years. Tom has substantial experience representing those facing investigations brought by all the major UK enforcement agencies, particularly with international investigations. He is engaged on seven matters identified by the Serious Fraud Office as among its most significant investigations, nearly all of which involve substantial international dimensions. He frequently advises companies and senior individuals facing sensitive investigations and regulatory issues and is often called on to assist suspects, whistle-blowers and witnesses in fraud and corruption cases. Tom also advises corporate clients on anti-corruption systems and controls. Chambers & Partners UK 2019 has ranked Tom in the top two bands for his representation of both individuals and corporates in financial crime investigations. Sources told the guide "he inspires enormous confidence from clients and is a very deep thinker about cases" and he "stands out for his rigour, candour and ability to separate major and minor issues." Additionally, Tom was named in the 2018 Who's Who Legal list as Thought Leader in Business Crime Defence. Tom has also been recognized as a Leading Lawyer in the Legal 500 2019 in the field of Fraud: White Collar Crime. The guide's sources noted that he ‘pours his heart and soul into his cases and achieves fantastic results’. Tom is a former committee member and law reform officer for the London Criminal Courts Solicitors' Association (LCCSA). He has lectured to professional and commercial organizations including the British Bankers' Association. He is also an established speaker on the international white collar crime investigations conference circuit and has substantial publications on international investigations in the legal press. Advising a banking executive in relation to the LIBOR investigation by the SFO and regulatory authorities. Advising a senior trader in relation to the FX investigation across numerous jurisdictions. Advising an overseas company operating in the aerospace sector in relation to discrete tax issues raised by the HMRC. Advising a banking senior executive in relation to an international investigation into alleged conduct in Qatar. Advising a transportation company senior executive in relation to a SFO investigation into allegations of cross border corruption. Advising a UK pharmaceutical supply company in relation to a US investigation into fraud offences. Advising a number of senior individuals in relation to corporate manslaughter and HSE investigations. Advising a senior executive at a multinational energy and aerospace company in relation to alleged overseas corruption in a number of jurisdictions. Advising a partner of an offshore law firm regarding a request for evidence by an overseas anti-corruption investigative agency. Advising a senior executive in relation to a US/UK investigation into alleged bribery in the UAE. Chambers & Partners UK 2019 ranks Tom in Band 1 for Financial Crime: Individuals, and in Band 2 for Financial Crime: Corporates. Tom is described as "brilliant" and very practical," and Chambers' sources note that "he has a good pedigree in financial fraud and is very user-friendly." Tom is named as a Leading Lawyer in the Legal 500 2019 in the field of Fraud: White Collar Crime. The guide's sources noted that he ‘pours his heart and soul into his cases and achieves fantastic results’. Chambers & Partners UK 2018 ranks Tom in Band 2 for both Financial Crime: Corporates and Financial Crime: Individuals. Tom's practice is "going from strength to strength" and sources say "he inspires enormous confidence from clients and is a very deep thinker about cases." Tom wins praise for his representation of senior executives involved in SFO investigations into fraud, corruption and other financial crimes and in the words of one source, he "stands out for his rigour, candour and ability to separate major and minor issues." He has experience advising on cross-border fraud and corruption investigations. 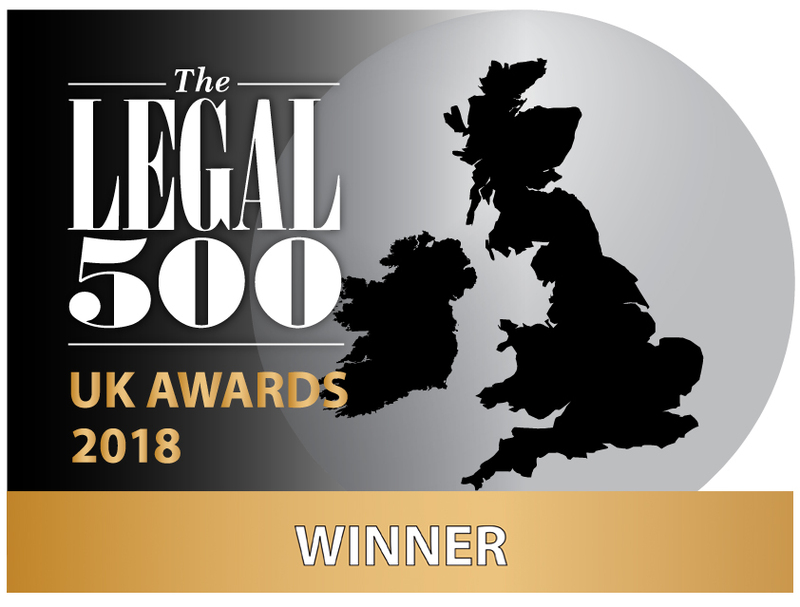 Tom is a Leading Lawyer in Legal 500 2017 in the field of Fraud: White Collar Crime, being described as "experienced, strategic and committed" as part of a "dynamic team" which provides "an excellent overall level of service with precise answers" and is "capable of adapting perfectly to a fast moving market". He is also recommended in the field of Regulatory Investigations and Corporate Crime as part of a team whose "service, knowledge and understanding of relevant issues is always excellent". Tom is ranked as a Leading Individual in Legal 500 2016 in the Fraud: White-Collar Crime field as part of Brown Rudnick's 'exceptional' team and a recommended lawyer for Corporate Crime (Including Fraud, Bribery and Corruption). He is described as 'outstanding' and one of 'the best business crime lawyers of their generation', being one of the 'leading lawyers in this competitive field'. Listed in the 2016 edition of Chambers UK for Financial Crime: Corporates and Financial Crime: Individuals. Clients note that Tom is "a remarkable performer with an excellent track record” and "very detail-oriented and comprehensive in the advice he gives." He is also noted as being "very familiar with cases, comprehensive in his advice and he works extremely hard."